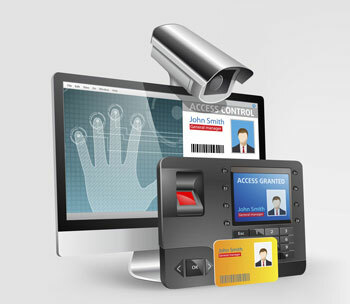 Physical Security is a vital business need helping to ensure the safety of your employees, facilities, and assets. This encompasses both building access control and video surveillance which work together to create a solid safety infrastructure. With a strong security foundation, you can not only identify and track who is on premise and control who comes in, but also create customized safety plans to include facility lock downs in the event of active shooters, alarms and alerts based on qualifying actions, and even active directory integration. Simply put, our customized solution and services take the worry out of complex security processes, policies, and procedures which can help drastically increase physical and virtual security. Whenever we call, Gorrie-Regan is always there. They always come in a timely manner. I just love working with Paul Dooley [Service Coordinator] he is a great person to work with. He really meets me/us at our needs. Thank you for your interest! Please complete this form to request more information. A Gorrie-Regan specialist will contact you to answer any questions you may have. Copyright © 2019 Gorrie-Regan, Inc.